(Community Matters) love this . . .
(Community Matters) I almost unplugged completely yesterday – barely responding to email, hardly posting on FB – mostly wandering Marfa, reading, chilling w/ Steven, attending a party at the McDonald Observatory, wrapping up w/ a drink at Cochineal w/ our dear friend Tom Rapp & new friend, Donald. ahhhhhh . 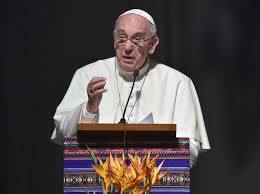 . . and I’m finding myself in a good place from which to listen to others’ messages, this morning Pope Francis’. Let us together say from the heart: no family without lodging, no rural worker without land, no laborer without rights, no people without sovereignty, no individual without dignity, no child without childhood, no young person without a future, no elderly person without a venerable old age. Thomas Jefferson’s quote: All . . . will bear in mind this sacred principle, that though the will of the majority is in all cases to prevail, that will to be rightful must be reasonable; that the minority possess their equal rights, which equal law must protect and to violate would be oppression. at least right now, I’m not remembering a more important day in our lives. 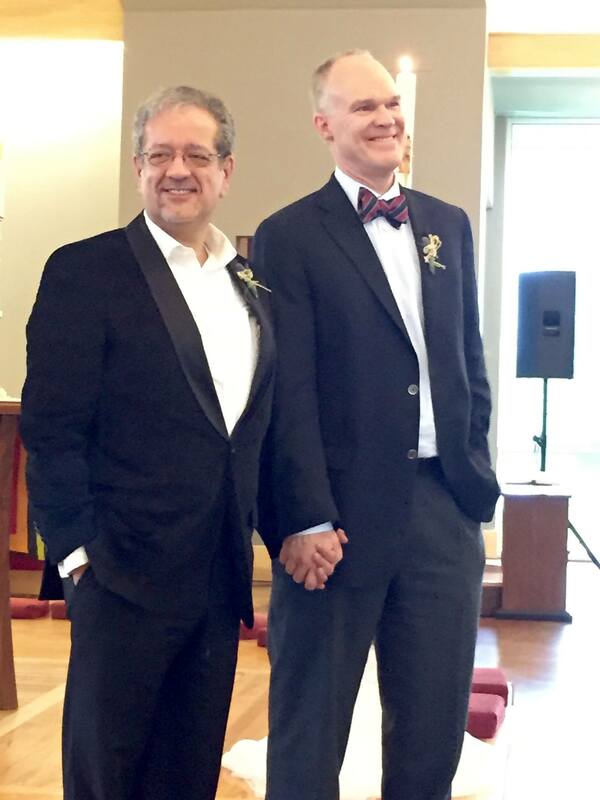 Last night, Steven and I were married in front of some of our dearest friends at St James Episcopal Church. What took place at St James’ last night, transcends us. No doubt we were enveloped in love (we could physically feel it). And . 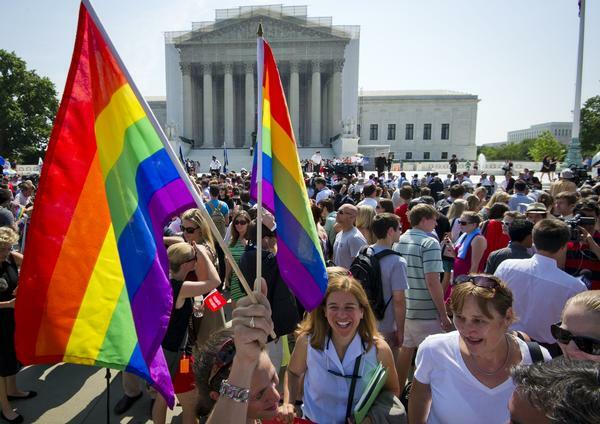 . . the timing . . .SCOTUS ruling on an unexpected Friday, Rev Lisa’s enthusiasm, the Bishop’s approval, an open Saturday night for a wedding in a church in Austin in June . . . We were so privileged to help cap this extraordinary week with the reality of full inclusion within our inclusive, multi-cultural home, St James Episcopal. (Community Matters) The Art of an Illusionist; a World Class Contortionist: I’ll grant you usually elegant prose . 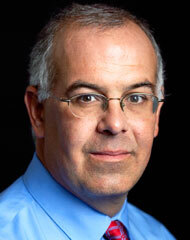 . . yet few people mislead readers as regularly by distorting assumptions & selective citation of facts as David Brooks. He’s perfected the art of launching with misleading assumptions. 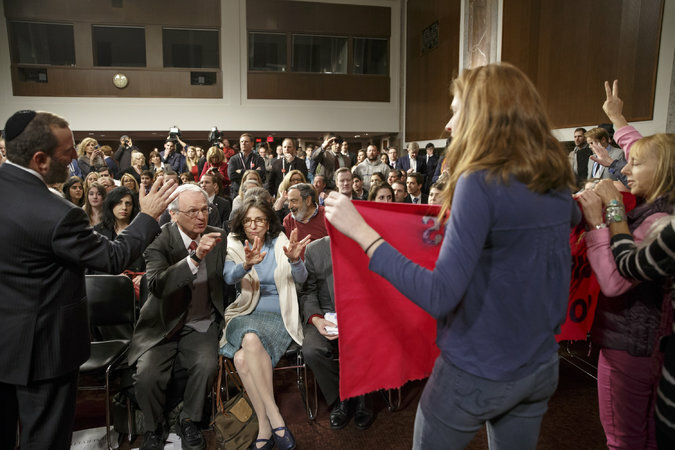 Framing Democrats concerned for the outsourcing of more middle class jobs as a Democratic Tea Party is typical Brook’s illusionist art – The Democratic Tea Party. There is no doubt that globalization (especially badly negotiated and enforced) has hurt America’s middle class; that it’s cost us millions of middle class jobs. I agree it reduces poverty around the world. If we’d adequately fund the social safety net which is intended to provide for systemic un- & under- employment and enforce labor & trade provisions as well as adequately fund dislocation & retraining programs, I’d be for the expansion of free trade. I’m not completely against this free trade agreement, how could I be? It’s provisions are national secrets. Let’s debate the agreement & its provisions openly. oh, and equating the secrecy of a treaty on nuclear armament to one about jobs and goods . . . David Copperfield watch out. (Community Matters) I’m seeing postings against property tax relief. I don’t disagree we need to help renters too. Perfection is too often the enemy of good. Just because this step doesn’t accomplish both doesn’t mean we shouldn’t proceed. Let’s look at utility fee restructure to provide relief to renters. geez . 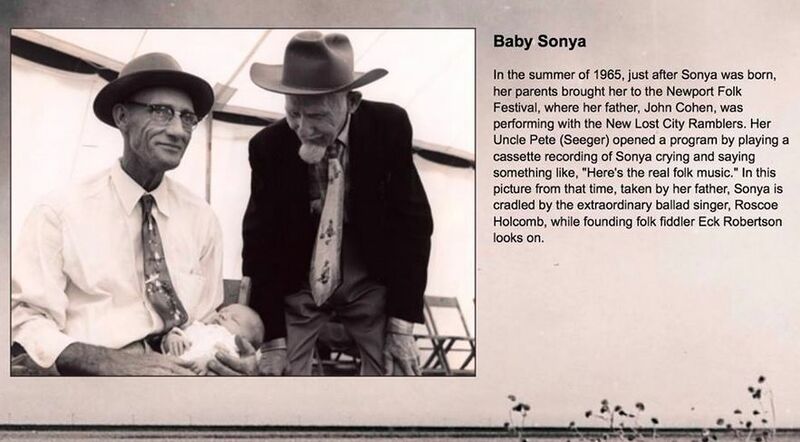 . . listening to the voices & leadership from the past not likely to get us anywhere but where we are today (see today’s article about threat to musicians & artists of Austin). Voters overwhlemingly rejected the past and elected a new way forward. 80% of Austin citizens want a new way forward & the 20% homestead exemption. if we always do what we’ve always done . 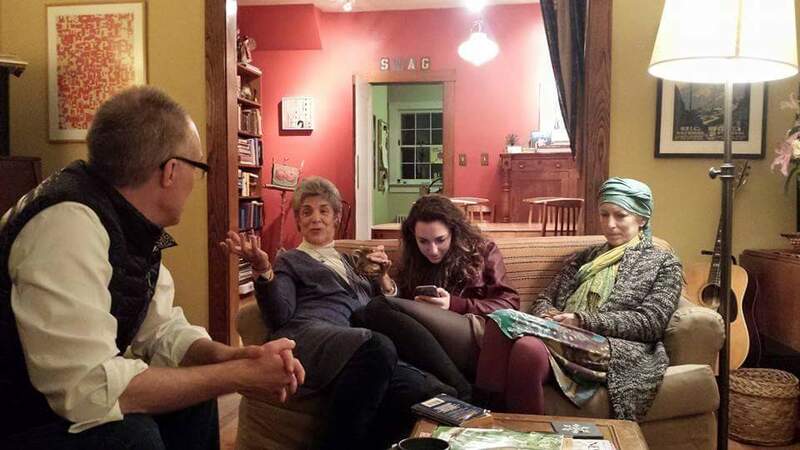 . .
(Community Matters) such a treat to see Sonya, Reid, Dio & Gabel this weekend. They are hoping for months, planning by the week & living day by day. What Did Your Grandparents Do? 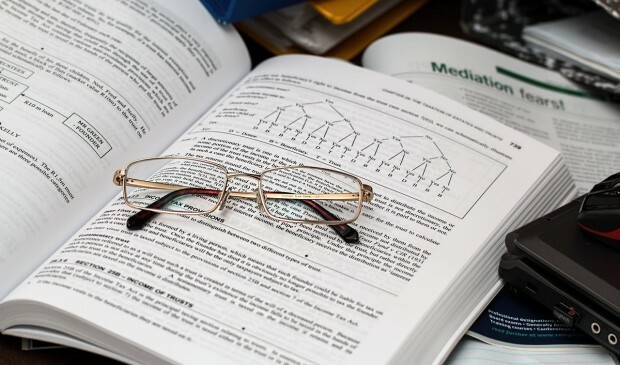 (Community Matters) I was brainstorming with a friend about how do we effectively communicate the impact of cumulative, institutional & cross-generational discrimination – why today does it still matter if our parents, grandparents or great grandparents were discriminated against? if they weren’t allowed to attend school (or a good school)? if they lived in a red-lined area so couldn’t obtain a mortgage in order to buy a home (thus accumulating equity in their home, a source of major wealth for most Americans) . . . if they weren’t allowed to earn a fair wage because of racial prejudice excluding from certain jobs . . . I don’t say this to incite guilt. And, we should probably remind ourselves that many of us were born on 1st, 2nd or even 3rd base while some were prevented from even entering the area of town where the ballpark was located. (Community Matters) Peter Zandan released results of his latest (now annual) Austin poll – see AAS story and super interactive results pages here. I’ve highlighted some results. The published poll includes a larger than City of Austin universe. Peter’s folks were kind enough to give the same results by crosstab. Strong majority support for: 1) revising development code to allow more apartments, townhouse, garage apartments, 2) affordable housing or artists, musicians and other creatives, 3) developing the Austin for tomorrow rather than today or its past. 79% support a 20% homestead exemption, 71% believe Austin should provide incentives for more middle class wage jobs, 57% support changing development rules to allow more town homes, garage apartments and other small apartment buildings, 54% believe we should provide more affordable housing for musicians, entertainers and artists, 58% want us to build for the future (vs protect as is or return to past). Important information. 80% support a 20% homestead exemption, 71% believe Austin should provide incentives for more middle class wage jobs, 59% support changing development rules to allow more town homes, garage apartments and other small apartment buildings, 57% believe we should provide more affordable housing for musicians, entertainers and artists, 57% want us to build for the future (vs protect as is or return to past). Important information. 83% support a 20% homestead exemption, 68% believe Austin should provide incentives for more middle class wage jobs, 58% support changing development rules to allow more town homes, garage apartments and other small apartment buildings, 57% believe we should provide more affordable housing for musicians, entertainers and artists, 59% want us to build for the future (vs protect as is or return to past). Important information. The margin of error for the total sample size of 814 and a population of the Austin MSA (1.8M+) is +/- 3.4 percentage points. (Community Matters) I’ve never spent much time understanding the economics of Austin Energy – know our mayor plans to do so. It’s important that our city utilities are positioned to respond to market realities and continue best serving Austin residents & other customers. I certainly don’t oppose the equivalent of dividend transfers and believe transparent allocations are the prerogative of the council & city manager – just not sure there is transparency nor that we’re not handicapping the utilities. The Explainer takes a deeper look at stories we have been following. This week, we tackle the annual transfer from Austin Energy to the City of Austin’s General Fund. The annual transfer of what has historically been many millions of dollars in cash from the coffers of Austin Energy to those just across the river at City Hall is typical of publicly owned utilities, whether those who live outside the city yet pay Austin Energy for their electricity like to think so or not. This sometimes causes legislators to look at Austin Energy as a problem rather than a top-rated utility. And sometimes it causes City Council — which is charged with governing the utility to benefit ratepayers as well as the city as a whole — to squirm. Do the Democrats and Israel Have a Future Together? (Community Matters) Been warning about the potential acceleration in loss of progressive and liberal support for years – and now that Israel’s prime minister has jumped the shark, there’s even more risk. NYTimes Mag: Do the Democrats and Israel Have a Future Together? “. . . many now consider him [Netanyahu] the de facto president of the Israeli chapter of Republicans Abroad. You don’t replace a true statesman (former ambassador Michael Oren) with Ron Dermer as your ambassador, allowing him to continue as US political operative, expecting to win more friends. Dermer (now Israel’s ambassador in the US) is a Miami Beach native and Netanyahu’s closest confidant, who, before becoming an Israeli citizen, worked for the Republican takeover of the House in 1994. Happy to see J Street stepping up and bringing some sanity to the discussion. Proud to be a national leadership circle member of this Pro-Israel, Pro-Peace political organization. I continue to believe in Israel’s ability to become the place of justice for all, just not under the current administration. Don’t know how this prime minister can earn back any creed with this administration or most of the electorate – perhaps concessions in Palestinian negotiations and a new ambassador to start.